He is a Doctor of State (Ph.D.) in Quantitative Marketing at the University of Grenoble, in France. He is also a Psychologist from the Pontifical Catholic University of Peru, PUCP, and Master in Administration granted by the School of Business Administration for Graduates, ESAN, in Peru. Among other positions held, Rolando has been Senior Professor of Marketing at Laval University of Quebec, where he also served as Director of the International Business Program and Director of the Marketing Department. President of the Peruvian Hydrocarbons Society. Independent Member of the Review Committee and FIFA Governance Committee. Master in Corporate Finance. Law degree from the Pontifical Catholic University of Peru. Member of the Center for Latin American Studies David Rockefeller and Member of the Board of Directors of Global Initiative at Harvard University. MBA from the Harvard Business School. Director of Programs and International Relations and member of the Executive Committee of EADA. Bachelor in Business Administration from the University of Wales, Master in Human Resources Management from EADA and a graduate of the Authentic Leadership Development and Disruptive Strategy programs at Harvard Busines School. During the 2008-12 period, Jordi Díaz was a member of the board of directors of the Executive MBA Council (USA), of which he was appointed President for the 2010-11 period. 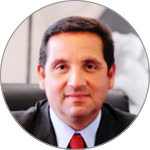 Since 2014 he has been a member of the EPAS board of directors - European accreditation of programs - and since 2017 he is Director of the Executive Academy of the European Foundation for Management Development (EFMD Global Network, Switzerland). Natura is a brand of Brazilian origin, born of a passion for cosmetics and relationships, present in seven countries in Latin America and France. In Brazil, it is the leading industry in the cosmetics, fragrances and personal hygiene market, as well as in the direct sales sector. General Manager, Ransa Comercial S.A. Since 1939, they are the leading logistics operator in Peru with more than 7,000 highly trained and specialized employees to meet the specific requirements of our clients in each economic sector, becoming strategic partners in the logistics of our customers. Phd. in Law, Complutense University of Madrid, Spain. Master in Business Administration, IE Business School, Spain. Banco Ripley has specialized in offering financial services to the middle class, through the delivery of loans and credit cards. EY FAAS leader partner for LATAM North. Leader of the market segment Bogotá, Colombia. Professor of MBA and member of the Corporate Advisory Board of HHL Leipzig Graduate School or Management and EADA Business School Barcelona. Global MBA from the Catholic University of Peru, and EADA Business School - Barcelona. Executive Education BABSON: EY Strategic Leadership for EY partners. Chairman of the Board of the EADA Foundation. Industrial Engineer from the University of Catalunya. He studied Economics at the University of Barcelona. Member of the Legal Area and General Counsel of the Firm in Colombia and in Deloitte LATCO (Latin American Countries Organization), she is also Leader Partner of Risk and Reputation and Independence and Ethics of Colombia and Director of the Corporate Governance Center of LATCO and Colombia. President of ABAC, APEC Corporate Advisory Council. MBA by Adolfo Ibañez School of Management. She was part of the Executive Program at Singularity University and the PAD of the UDEP. BS in Marketing by Leonard N. Stern Business School - New York University. Professor John M. Trapani III has been on Freeman's faculty for more than 26 years, and has taught economics for more than 40 years. Beyond his extensive contributions to student learning in the classroom, his influence on Freeman extends to a vital administrative job as executive director of the Goldring Institute and the Martin F. Schmidt Chair of International Business. PhD in accounting from the University of Texas at Austin, USA. He has published more than 35 scholarly articles, monographs and books, and his writings have appeared in publications including the Wall Street Journal. 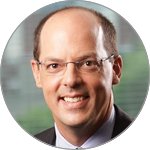 He has served as an associate editor and on the editorial boards of a number of prestigious scholarly journals, as a vice president of the American Accounting Association and a member of the governing council of the American Institute of Certified Public Accountants. Solomon has been recognized for outstanding teaching, research and service numerous times. In 2009, Solomon received the Distinguished Achievement in Accounting Education Award from the AICPA and the Special Award of Merit from the Illinois CPA Society. Mr. Heeren has an Industrial Engineering degree from the Pontificia Universidad Catolica in Peru, holds an MBA from Universidad Adolfo Ibáñez de Chile, and he has participated in specialized courses in Planning and Business, Financial Management and Evaluation and Risk Management in London, UK. Mr. Heeren has been Chief Executive Officer of Gas Natural de Lima y Callao S.A. since August 2011 and serves as its Member of the Management Board. He also participates actively in activities for the UN Global Compact at international level as well as director and member of the executive committee. Industrial engineer from the National University of Trujillo, holds an MBA from the University of Rochester (USA) and the INCAE Business School (Chile). 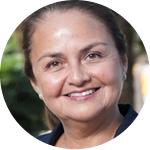 Rosario Bazán is not only CEO, but also shareholder and founder of the agribusiness Danper Trujillo. 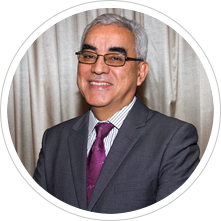 He is also a member of the Private Sector Advisory Board at IDB in Peru. President of the Chamber of Commerce and Production of La Libertad. She has been member of the international jury at World Entrepreneur of the Year EY Monaco 2016. She has ranked as 47th in the ranking of business leaders in Peru 2015. She was awarded by the Order of Labor in the 2015 Official grade. 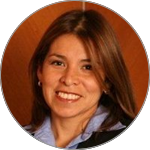 Evangelina holds a Master's degree in business administration, finance and strategy from Kellog School of Management. She has more than 20 years of experience in the industry and more than seven years at Coca-Cola. After four years as Director of Strategic Planning in Coca-Cola for the Latin American region, in 2015 she assumed the position of Director of Franchises in Argentina and Paraguay and currently assumes the challenge of leading Peru as General Manager. Giovanna is an industrial engineer from the Pontificia Universidad Católica del Perú and an MBA from the Universidad del Pacífico. She has more than 20 years of experience in the technology sector and has worked for countries in the region such as Chile, Colombia, Argentina and Ecuador. After almost 3 years at Microsoft Peru as Commercial Director, she assumes the position of Territory Manager of South America. Previously she was Regional Sales Manager of Hewlett-Packard.